Many people intuitively sense that there is a connection between mathematics and music. If nothing else, both involve counting. There is, of course, much more to the association. 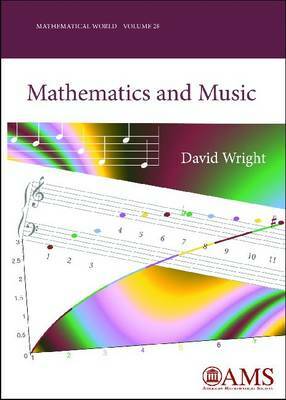 David Wright's book is an investigation of the interrelationships between mathematics and music, reviewing the needed background concepts in each subject as they are encountered. Along the way, readers will augment their understanding of both mathematics and music. The text explores the common foundations of the two subjects, which are developed side by side. Musical and mathematical notions are brought together, such as scales and modular arithmetic, intervals and logarithms, tone and trigonometry, and timbre and harmonic analysis. When possible, discussions of musical and mathematical notions are directly interwoven. Occasionally the discourse dwells for a while on one subject and not the other, but eventually the connection is established, making this an integrative treatment of the two subjects. The book is a text for a freshman level college course suitable for musically inclined or mathematically inclined students, with the intent of breaking down any apprehension that either group might have for the other subject. Exercises are given at the end of each chapter. The mathematical prerequisites are a high-school level familiarity with algebra, trigonometry, functions, and graphs. Musically, the student should have had some exposure to musical staffs, standard clefs, and key signatures, though all of these are explained in the text.